BOCA RATON, FL – Boca Raton Football Club is excited to announce the hiring of Silvio Costa as an advisor and assistant coach for the 2019 Season. As an advisor/assistant coach, Costa will be an advisor to the Brazilian players looking to make the move to Boca Raton FC and will also assist head coach Jim Rooney in the soccer operations of the club. 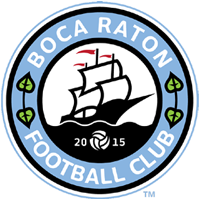 With the signing of Costa, Boca Raton FC has also relieved Villy Washington of his duties as assistant coach.